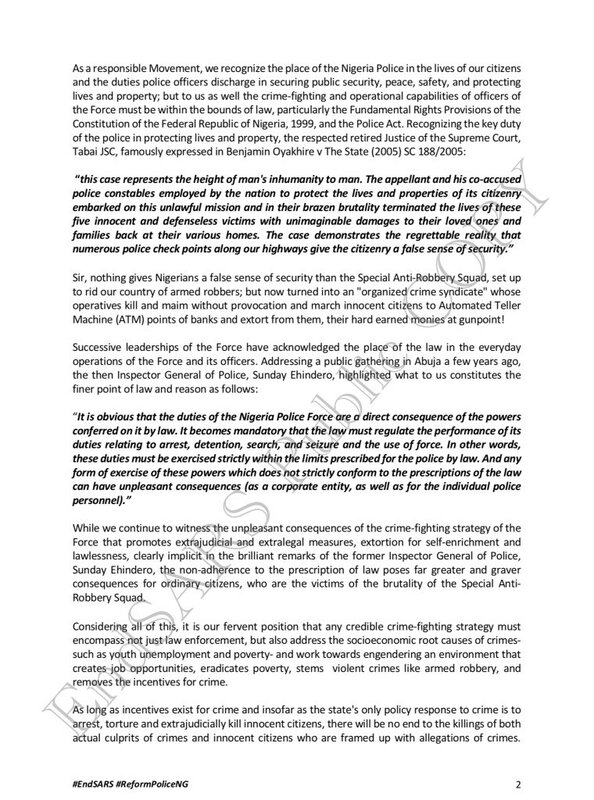 #EndSARS campaign covener, Segalinks (real name: Segun Awosanya) has revealed that the movement has sent a petition to the government requesting for the “scrapping of the special anti-robbery squad and the broader reform of the Nigeria Police Reform”. 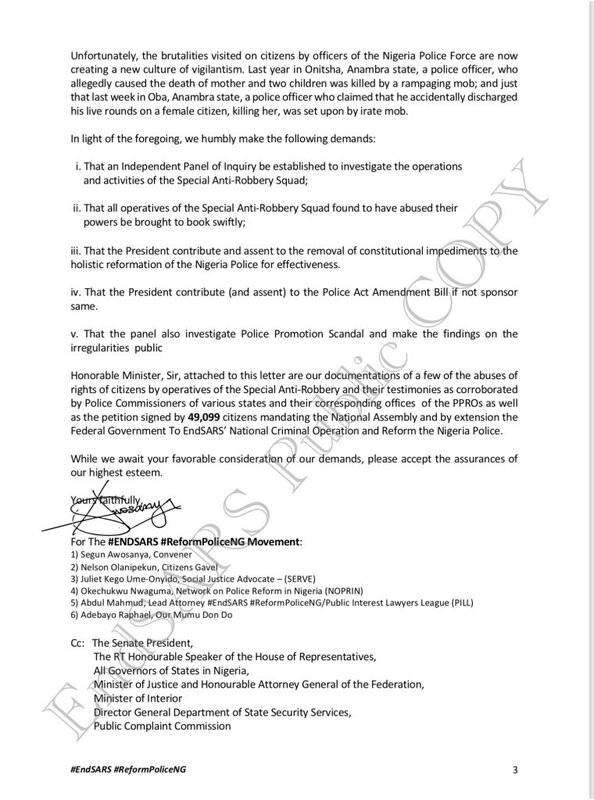 In the letter dated 5th of August, he cited the “extortion from, disappearance and the deaths of countless citizens… illegal arrest and detention of citizens which have continued unabated” as reasons for the letter. 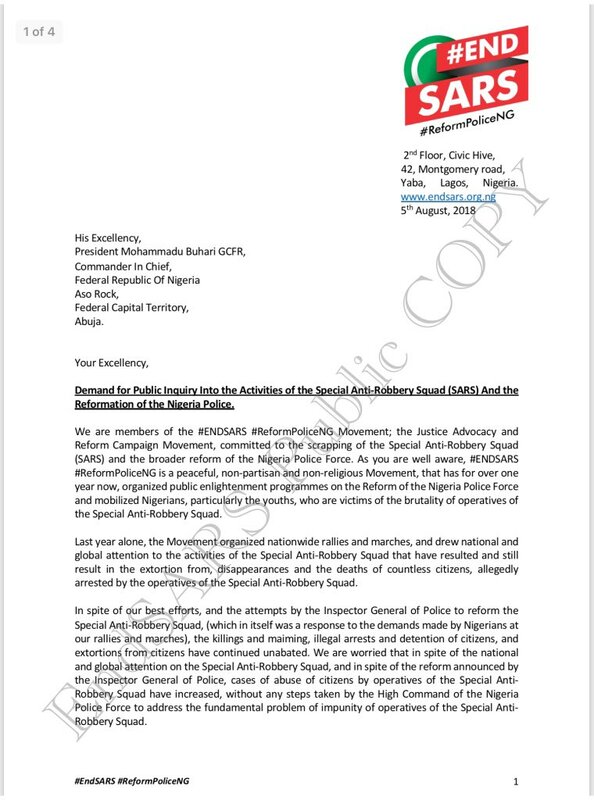 Recall that in 2017, he asked for the signatories of over 30,000 people to #EndSars in a petition addressed to the Senate and organised #EndSARS protest across the nation. 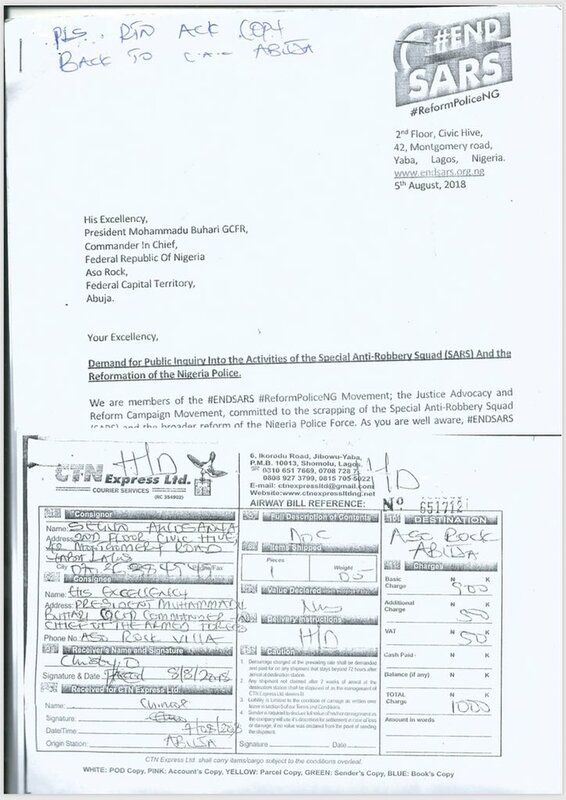 These protests alongside thousands of tweets attracted the attention of the global community.